This week I heard from former controller Mahlon (Mal) Fuller. He joined the FAA in 1968 and worked at Philadelphia, where he participated in the 1970 sickout and helped to lead the local before moving to Pittsburgh and up into management years before the strike. Mal wrote to say that he thought the book accurately reflected the history he lived through, and that it captured the personalities of the people he knew, like Mike Rock and Jack Maher. He also sent me a link to his review of the book on Amazon. 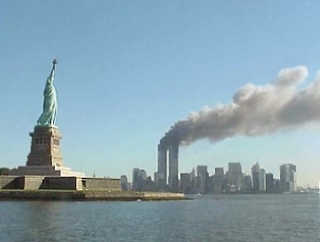 I was stunned to learn from Mal that he was working on the morning of September 11, 2001, as the watch supervisor of the Pittsburgh tower and radar room. His experience that day was harrowing. He first learned that something was wrong when a controller walked into the Pittsburgh radar room to say that the news on the television in the break room was reporting that a plane had struck the World Trade Center. When he went to the break room to investigate, he saw the second plane hit. He knew then that this was no accident. Over the next three hours he and his team played a role of one of the most remarkable events in aviation history, clearing the air of all non-military air traffic. But there was one plane that his team could not get to respond as it flew directly over Pittsburgh airport toward Washington, DC: the hijacked United Airlines Flight 93. You can listen to Mal talk about his experiences that day and about the heroic passengers of Flight 93 who stormed the cockpit and prevented terrorists from reaching their intended target in a radio interview that aired last fall by clicking here. Mal writes, “As I look back over my career I wonder if I was unknowingly being trained for 9/11 through my association with many of the PATCO men and women whom I knew and worked with and with some of the managers/supervisors who were PATCO members/sympathizers in the old days.” It is a compelling thought. 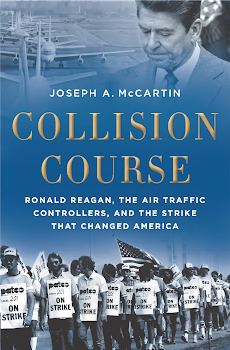 And I’m sure there are other threads that connect PATCO’s story to other controllers and supervisors who stepped into the breach on that horrible day. By the way, Mal has an inspirational talk that he gives on his 9/11 story. You can find out more about that from the Lancaster County (PA) Speakers Bureau here. And there is a fascinating postscript to Mal's story that might interest the historians among you: it turns out that he is named after his grandfather, J. Mahlon Barnes, a cigar maker by trade and a trade unionist who went on to become active in the Socialist Party of America in the early twentieth century. In fact, Mal's grandfather was an associate of Eugene V. Debs and he served for many years as the party's executive secretary. Stories like Mal's make you realize just how connected everything is if you look hard enough for the connections.